Hold onto your hats...or your hearts. This giveaway is just simply amazing, stunning...and I want one too! is a piece of jewelry with so much meaning and sentimental value..
and here is your chance to win one. testimonial about this beautiful necklace. "The Heart Duo Necklace is by far one of the most precious gifts I've ever received! My husband knew I had been drooling over Tina Steinberg's Love Touch Collection and surprised me with a necklace kit for Mother's Day last year. I was thrilled! I wear my Heart Duo necklace (pictured above) almost everyday, and those days I wear another necklace I sometimes have this necklace hidden under my shirt, close to my heart. When you order a necklace from Tina, she sends you a fingerprint kit in the mail with clear instructions on how to capture the fingerprints of your loved ones. You then send the molds back to Tina, she magically creates a beautiful one-of-a-kind necklace for you then sends it back to you. I admit that I impatiently checked my mailbox everyday until it arrived. When my necklace arrived I didn't want to take it off and proudly showed it off to everyone I could! I was one proud Mama! 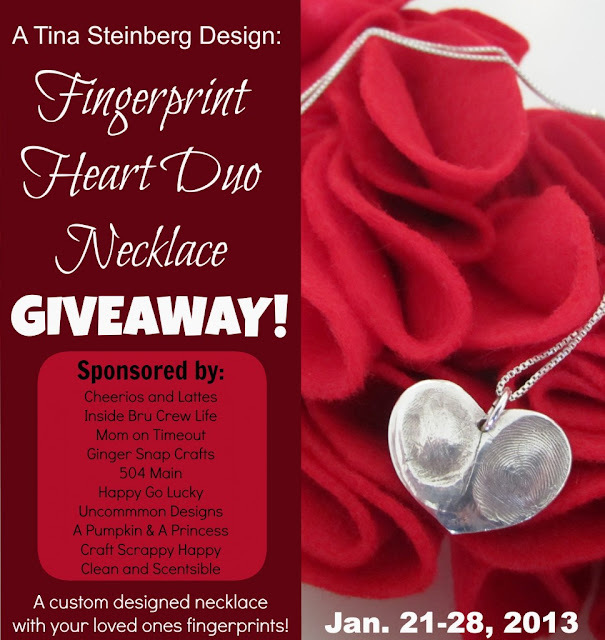 :)"
and I are offering YOU the chance to win this precious necklace! Best of luck to all; we can't wait to announce our winner! Open t U.S. and Canadian residents. 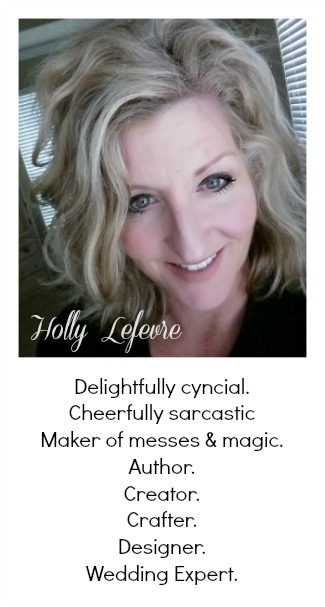 disclsoure: This giveaway is a collaborative blogger giveaway. There is one winner. My two boys...the small ones. I can see why you love this necklace. How special! Um, I think I should win. Because we're friends and all. That is all. What a beautiful necklace! Would love to have one with my two sons' fingerprints.